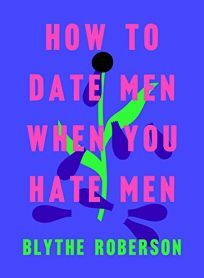 This week: how to date men when you hate men, plus Samanta Schweblin's frightening story collection. In Edgar winner Burke’s masterly 22nd novel featuring Iberia Parish, La., detective Dave Robicheaux (after 2018’s Robicheaux), Hollywood director Desmond Cormier, whom Robicheaux knew 25 years earlier as a young man on the streets of New Orleans with big plans of heading to California to make movies, returns to Louisiana to shoot his next film. When the crucified body of a woman is found floating in the bay close to Cormier’s waterfront estate, Robicheaux investigates. Meanwhile, his pal Clete Purcel witnesses a man leap from a moving train into the bayou. Could the presence of this man, escaped convict Hugo Tillinger, somehow connect with Robicheaux’s case? Several other bodies turn up, all grotesquely staged to represent cards in a tarot deck. Robicheaux is convinced that Cormier’s film crew is involved, but he soon finds himself in a shadowy world of rogue cops, mobsters, and a childlike assassin named Smiley. 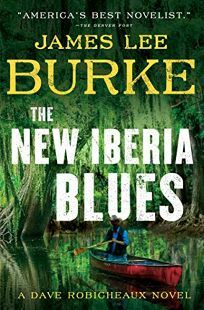 With his lush, visionary prose and timeless literary themes of loss and redemption, Burke is in full command in this outing for his aging but still capable hero. Pulitzer Prize–winner Humes (Mean Justice) provides a searing look at the limits of forensics in this unsettling reexamination of the case of Jo Ann Parks, convicted in 1993 for intentionally starting a fire in her Southern California apartment in order to kill her three young children. Parks’s conviction was largely the product of testimony by a fire investigation expert who used since-discredited methodology. Humes, relying on the dogged efforts of attorney Raquel Cohen, of the California Innocence Project, convincingly demonstrates the fallacies underlying almost all traditional thinking about what evidence is relevant to a conclusion of arson. He provides a vivid picture of the reality of criminal investigations—cases are “assembled not with brilliant detective work and Perry Mason courtroom moments, but one little brick at a time, built of shifting memories, shifting stories, shifting theories, shifting details.” Humes’s measured goal is not to advocate for Parks’s innocence but to raise questions about “whether there was ever sufficient evidence to convict her,” and open-minded readers will join in his skepticism. 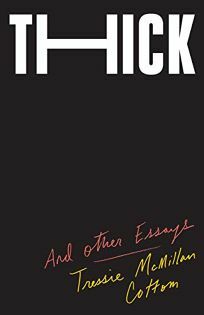 An instant true-crime classic that reads like a thriller, this joins the ranks of recent works also throwing into question the belief that crime scene investigators can infallibly arrive at the right answer. Novelist Jin (Waiting) presents a taut introduction to the life and poetry of influential eighth century Daoist poet Li Bai (701–762 CE). Li, known also in the West as Li Po, devoted his life to seeking a position at court and attempted to flatter a range of officials in hopes of a recommendation. He traveled through China, drinking heavily and producing obsequious but artistically impressive poems, and though he gained a devoted following, his Daoist orientation clashed with the Confucian officials who could recommend him. After years of rebuffs, he achieved a position, only to leave shortly thereafter when it became clear the emperor would not meaningfully employ his talents and advice. Li then returned to an itinerant lifestyle and underwent the strenuous Daoist initiation rituals of extreme fasting at a mountain monastery. His travels, funded by wealthy patrons and his second wife’s family business, exposed him to the emperor’s military missteps, and he narrowly escaped execution after joining a coup. His politically motivated marriages receive skimpy attention due to limited sources and the fact that he spent much of his life away from family. 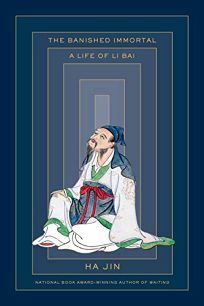 Jin’s explanations of Li’s poetry will help readers unfamiliar with Chinese forms see the power and beauty of Li’s work, and the distinct Daoist influences that put him at odds with his Confucian contemporaries. Jin’s polished biography will give a wider audience access to the politics and beauty of a major Chinese poet. 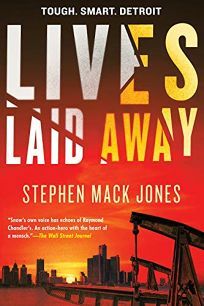 Jones effectively dramatizes the Trump administration’s approach to illegal immigration in his superior second novel featuring ex-cop August Snow (after 2017’s August Snow). Snow was forced out of the Detroit PD after he began digging into allegations that the former mayor was corrupt. The wrongful dismissal lawsuit he filed yielded a multimillion-dollar payday, and Snow has chosen to invest that money in his old neighborhood of Mexicantown. The community he is working to help comes under threat from an ICE crackdown, an initiative that coincides with the death of 19-year-old Isadora del Torres, an undocumented alien who leaped into the Detroit River while dressed as Marie Antoinette. Snow learns that the dead teenager was the victim of a vicious human trafficking ring that may involve corrupt immigration agents. Snow, who is of mixed African-American and Mexican heritage, is an uncompromising crusader with a sense of humor reminiscent of Robert Parker’s Spenser. He merits a long literary life. Léon’s staggering debut uses musical structure and allusion to explore friendship and secrecy between two gifted young men. Composer Hermin secludes himself for winters at an estate in the Bourbonnais mountains in France. Lenny, a former friend and piano prodigy who disappeared suddenly a decade before, appears at his door. The two slowly and awkwardly get reacquainted, and, from this point, Léon tells the history of their friendship in paragraphs that alternate between the present and 10 years prior. Hermin is a conservatory student in Paris when he meets teenaged Lenny, a foreigner with impressive raw talent but a strained life caring for his seriously ill aunt. Hermin provides lessons and space for Lenny to practice and eventually invites him to move into his apartment. The plot centers on Hermin’s failure even years later to understand Lenny’s peevish reactions to Hermin spending time with other friends and questions surrounding Lenny’s abrupt retirement from performance shortly before arriving. The men’s interactions frequently mirror citations from Schubert’s songs, especially as the reasons for Lenny’s reappearance become clearer. Léon’s innovative blending of events across time and her delicate emotional precision make for a bewitching, immersive experience. Moss (Cold Earth) delivers a powerful and unsettling novel about an Iron Age reenactment that steadily morphs into something sinister. The narrator, 17-year-old Silvie, is forced by her domineering father, a history buff, to join a group of three college students—Pete, Dan, and Molly—and their experimental archaeology professor for a stay on a relatively isolated spot of land in the English countryside to gain insight into what it was like to live day-to-day in the Iron Age. Silvie wears a scratchy tunic and searches for edible berries and roots, becoming close with Molly. Quickly, though, Silvie’s dad’s darker side comes to the forefront, as he becomes obsessed with following the rules of the experiment; he is particularly captivated by people who were found in the bogs of the region with their hands tied or bearing wounds, perfectly preserved from the Iron Age and discovered centuries later. 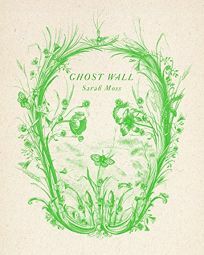 The story grows increasingly ominous as the men build a replica of a ghost wall—a wall topped with skulls that a local tribe erected to ward off the invading Romans—before arriving at a terrifying, unforgettable ending. The novel’s highlight is Silvie, a perfectly calibrated consciousness that is energetic and lonely and prone to sharp and memorable observations: “Who are the ghosts again, we or our dead? Maybe they imagined us first, maybe we were conjured out of the deep past by other minds”; “You’d think that dismembering something would get easier as the creature becomes less like itself, but with rabbits that’s not the case.” This is a haunting, astonishing novel. 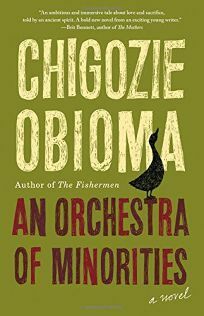 Set in Umuahia, Nigeria, Man Booker finalist Obioma’s unforgettable second novel (after The Fishermen) follows the saga of Chinonso, a young and doomed poultry farmer. The story is narrated by Chinonso’s chi, the guardian spirit that bridges humans and the divine in Igbo cosmology; this narrator functions as both advocate and Greek chorus in the tragedy that unfolds. 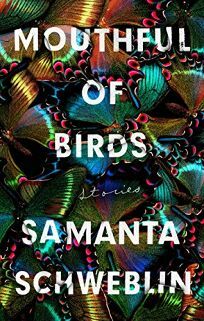 Orphaned and broken by his father’s death, Chinonso spends his life in isolation caring for his beloved chickens, until he sees a woman preparing to jump to her death off a bridge. She turns out to be Ndali, the daughter of a prominent local family. Suicidal in the wake of a broken engagement, Ndali is drawn to Chinonso’s fierce protectiveness of his flock, seeing in him a steadiness and resoluteness of character, but she’s blind to the anger and sorrow at his core. The two quickly fall in love, despite her family’s mounting objections. In a bid to win their approval, Chinonso takes up an old acquaintance on the offer of university education in Cyprus, selling his family’s property and possessions to pay for it. The con is painful and clear as day; Chinonso is robbed blind and left stranded in an alien land. After he meets a sympathetic nurse, a moment of violence lands Chinonso in jail, where he must bide his time—still burning with a violent determination to reclaim the life he lost and punish those responsible. Obioma’s novel is electrifying, a meticulously crafted character drama told with emotional intensity. His invention, combining Igbo folklore and Greek tragedy in the context of modern Nigeria, makes for a rich, enchanting experience. Roberson, a researcher at the Late Show with Stephen Colbert, looks through a millennial lens at modern love in this laugh-out-loud commentary on dating and her lack of success at it. Peppering her narrative with references to sociological studies and quotes from literature (on unrequited love, for instance, she looks to Walt Whitman: “I loved a person ardently, and my love was not/returned”), Roberson emphasizes her main point that dating is equally painstaking endeavor and joyful venture. She lays it all out on the table—including a list of men who she believed to be flirting with her, but later found out, in one example with a guy who liked all her tweets, that he was “just on my phone a lot” checking Twitter. Mixed in with the amusing anecdotes are thoughtful observations on the classic pitfalls of dating—like the fallacy of the “you deserve better than me” breakup line or the misogynistic connotations behind being told that love will come “when you least expect it.” This is a perfect book for women of all ages who have found that, despite their best efforts, dating men rarely works out in their favor. Schweblin (Fever Dream) once again deploys a heavy dose of nightmare fuel in this frightening, addictive collection. In “Headlights,” Felicity, a just-married woman whose husband has abandoned her by the side of the road, hears and senses an approaching swarm of jilted women in the pitch black fields around her (“The laughter is closer now; it completely drowns out the crying”). “Preserves” is about a married couple expecting their first child and deciding to alter nature’s course. In the title story, two parents try to figure out what to do about their young daughter, who has started eating live birds. In “Underground,” the children in a small mining town dig a massive hole and suddenly disappear, and when their parents go looking for them, they find the hole filled in—and empty when they dig it up again. “The Heavy Suitcase of Benavides” follows a man who thinks that he has killed his wife and stuffed her in a suitcase. When he visits his doctor to confess, his doctor responds to the news unexpectedly, leading to a startling ending. Schweblin has a knack for leaving things unsaid: by zeroing in on her characters and settings to an uncomfortably close degree and only hinting at what’s at the edges of the perspective, she achieves a constant sense of dread. Schweblin’s stories are canny, provocative, and profoundly unsettling. Jealousy rears its ugly head in Sims’s chilling and riveting debut. The unnamed narrator is a middle-aged evening school professor who recently separated from her husband, Nathan, after their prolonged inability to become pregnant. She lives in an unnamed city—but probably Brooklyn—down the block from a famous actress (referred to as “the actress” throughout), her screenwriter husband, and their three young children. The narrator can’t help comparing her drab life to the actress’s glamorous one and is constantly fantasizing about her fairy tale lifestyle. 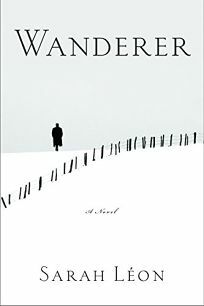 The narrator leads a lonely existence, but there are a few others who populate it, including Mrs. H, her nosy neighbor; Bernardo, her poetry student whom she thinks is coming on to her; and Cat, Nathan’s pet that he left behind. She does odd things such as stealing castoff objects (Birkenstocks, a child’s bike) left outside the actress’s townhouse and using them to build a shrine to her in her apartment. Then, at a block party, the narrator tries to make meaningful contact with the actress, but events conspire disastrously against her, and it’s all downhill from there, bottoming out in a tragedy. 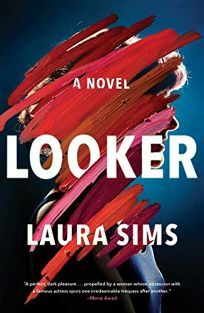 In this tightly plotted novel, Sims takes the reader fully into the mind of a woman becoming increasingly unhinged, and turns her emotionally fraught journey into a provocative tale about the dangers of coveting what belongs to another. 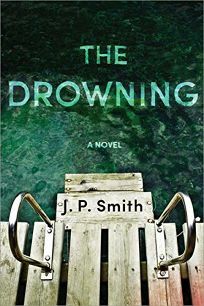 An overbearing alpha male gets his comeuppance in this smart, creepy thriller from Smith (Airtight). One summer day, when Alex Mason was an arrogant swimming counselor at Camp Waukeelo in the Berkshires, he left timid eight-year-old Joey Proctor behind on a raft in the middle of a lake. Joey inexplicably vanished, but Alex lied well enough to avoid blame. Twenty-one years later, he’s a famous New York real estate developer with a lovely family and a glamorous lifestyle. Then increasingly serious intrusions from his guilty past suggest that someone—or something—remembers Joey’s panic and wants Alex to share it. As it turns out, the immature, violent side of Alex’s nature doesn’t need much prodding to reveal itself. Smith nicely balances the borderline-supernatural events with Alex’s mundane struggles as his blustering defenses crumble. Sharp, clear prose is a plus. This is a remarkably adept performance. The first book in this new series by White (The Dark Descent of Elizabeth Frankenstein) is an epic, relatable story that will appeal to new and veteran Buffy the Vampire Slayer fans as it follows events from the Buffy comics series. With the destruction of the Seed of Wonder “the source of all magic on earth,” the world’s magic has disappeared—and with it the ability for new Slayers to be chosen. Twins Nina and Artemis, 16, come from a long line of Watchers (the entities that guide Slayers), and after Buffy decimated the Watchers before the book’s start, the twins and their mother, who survived, move to the now mostly empty Watcher retreat in Ireland, where the last of the Watchers can regroup. Nina, a protected Healer, works as the castle’s medic, happily to be part of Watcher Support, while Artemis trains for the physical side of Support and keeps Nina safe. 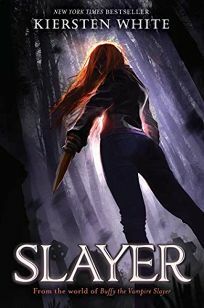 When it is revealed that she’s the last Slayer, chosen as the magic died, Nina quickly learns that being Chosen may not be as important as the choices one makes. Resplendent with quirky, endearing characters and imagination-sparking details, this novel feeds the soul of Buffy devotees, keeping the Buffy spirit alive. Ages 14–up. 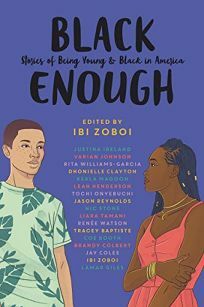 This collection of 17 original stories is written by contemporary black authors who explore “teens examining, rebelling against, embracing, or simply existing within their own idea of blackness.” The tales offer a wide array of perspectives and thoughtful reflections on black teenagers’ experiences, with pervading themes that include black identity (Varian Johnson’s “Black Enough”), sexual awakening (Justina Ireland’s “Kissing Sarah Smart”), and teenage worries. The stories, all worth savoring, share a celebratory outlook on black teenagers fully and courageously embracing life. Ages 13–up.